innovis Leading Edge Technologies S.A.
Innovis S.A. is one of the most innovative IT companies in the Greek market. Since 2001, we are active in designing and developing software applications for Business Process Management and Workflow Automation, Performance Measurement, Human Resources Management, Information and Knowledge Management, providing performance-enhancing tools for small, medium and large companies, in Greece and abroad. Innovis' target is to provide integrated solutions, which allow our customers to improve their efficiency and make full use of their competitive advantages. 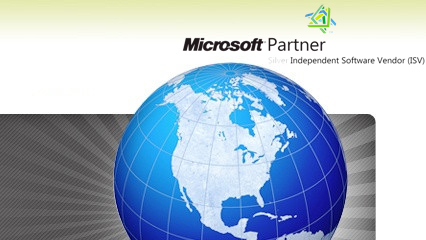 Innovis has been a Microsoft Certified Partner since the founding of the company. Since 2008, Innovis is a Microsoft Gold Certified Partner, with a competency in ISV/Software Solutions, having certified BizSmart™ Business Process Management system (workflow management system). All companies base their operations on processes, either explicit and rigorous, or verbal and customary. Having been well documented, it has also been our experience that companies which define, implement and closely follow their processes, tend to deliver better products and services, with fewer errors, in less time than their competitors. Best-in-Class companies achieved a weighted average 53% improvement in process consistency, - as measured by the number of defects in key business processes – compared with a 13% improvement for the Industry Average and a 13% decline for Laggards. (Source: Aberdeen Group, September 07).